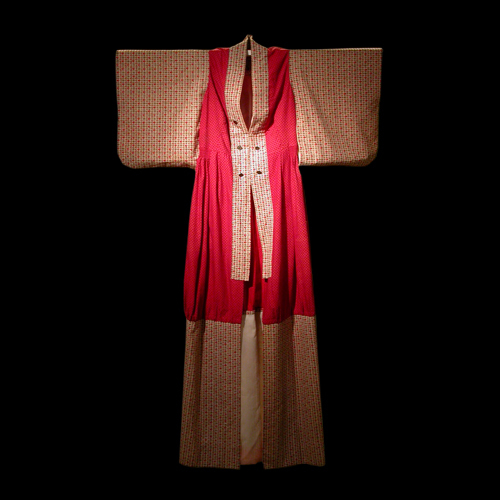 Cindy--Sansei & German/British--a small patterned female kimono reconstructed with a traditional German dress. Again, an integrated self image. Cindy's doctorate thesis was on mixed Asians.